I had one for a couple of years, any questions in particular? Yes, they should have a tall enclosure since they climb and don't spend much time at the bottom . Simply turning a regular aquarium on its side can work. No matter which enclosure you choose, though, make sure you can keep the inside humid. Are you sure it said bloodworms? I'm not sure how you'd even feed those, they're aquatic. Maybe in a water dish? Anyways, I fed my frog the following: crickets (staple), silkworms, phoenix worms, fruit flies (when I had extra from keeping my dart frog), and the occasional earth worm. I think that's it. Make sure the crickets are gut-loaded and dusted (let me know if you need more info, I can't remember if you've kept reptiles or amphibians before). Froggies are so cute! You need to post pics if/when you get one! That's too small but something similar (but like twice the size) would be fine. I think that depends on what species you are referring to. "Green tree frog" is a pretty generic common name that I have seen applied to several, very different frogs. That enclosure would be fine if it is a Hyla cinerea, but you'd probably want to go bigger if you're talking about Litoria caerulea. 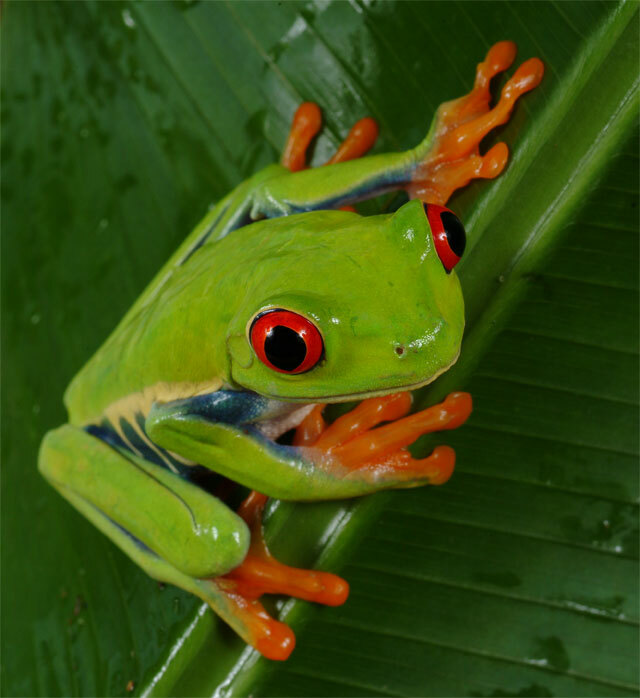 Oh, that's a red eyed tree frog! I thought you were talking about the cute little green frogs that are wild here. That's so awesome, I've alwasy thought it would be neat to have one!